If you ever turn on the TV to a cooking channel, it is more than likely that you will land on some form of a cooking competition. Whether it be Iron Chef, Cake Wars, Top Chef, Chopped, or Shopping Cart Wars,tv channels are practically littered with timed, high pressure competitions. For our last Young Chefs lesson of the term, we decided to do a spin-off inspired by this trend, creating our own sort of cooking competition for the students. When the students walked in the door, they were split into three teams. 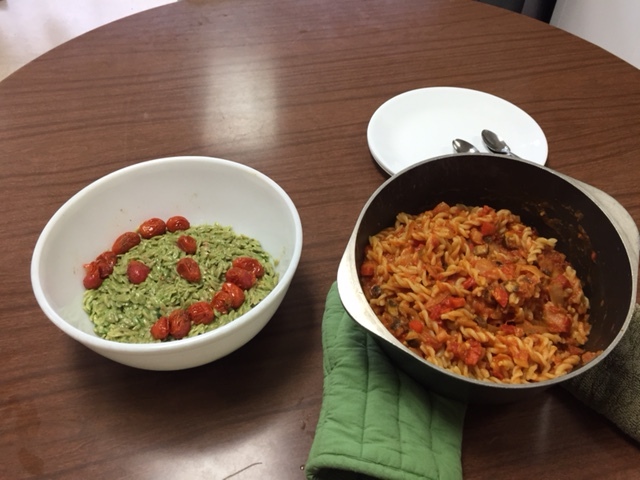 Each team was to create a unique pasta dish using only ingredients that they could buy at a “store” we had set up. At the front of the room, we organized an array of ingredients into three piles. One pile contained the most obscure ingredients such as figs, pumpkin, mango, and vanilla extract. This pile of ingredients was the cheapest—5 dollars. The middle pile contained fairly common ingredients that they may be somewhat reluctant to use. This 10 dollar pile consisted predominately of vegetables such as mushrooms, asparagus, tomatoes, onions and eggplant. The final pile was the most expensive and had the most desirable ingredients. In this pile they found marinara sauce, cream and various cheeses. 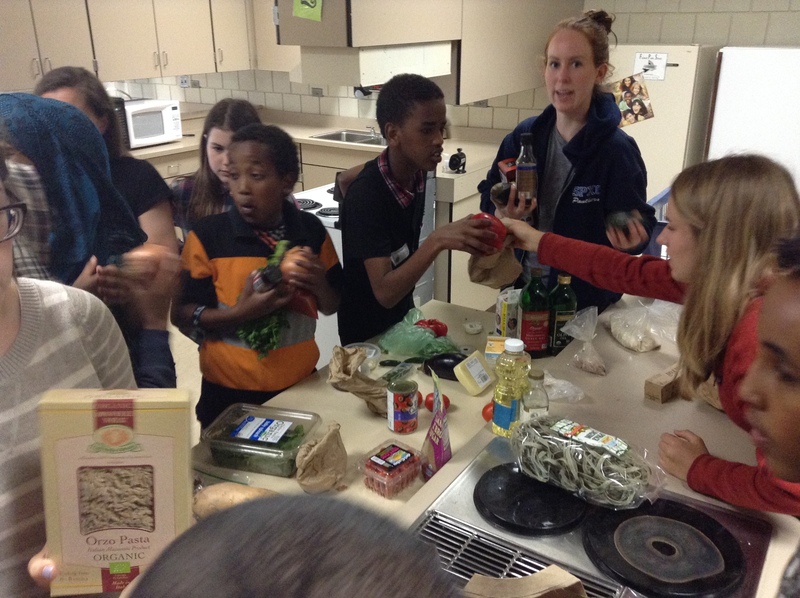 Each team got a different type of pasta as a base (orzo, rice noodles, and twisty noodles) and then headed to the store to “shop” for their other ingredients. As they did so, they were forced to be creative and were encouraged to stretch their comfort zones, as there was a limited pool of ingredients and they had certain budget constraints. Once they had their ingredients picked out, they were faced with the challenge of how to best prepare them and how to determine the ideal proportions of each. 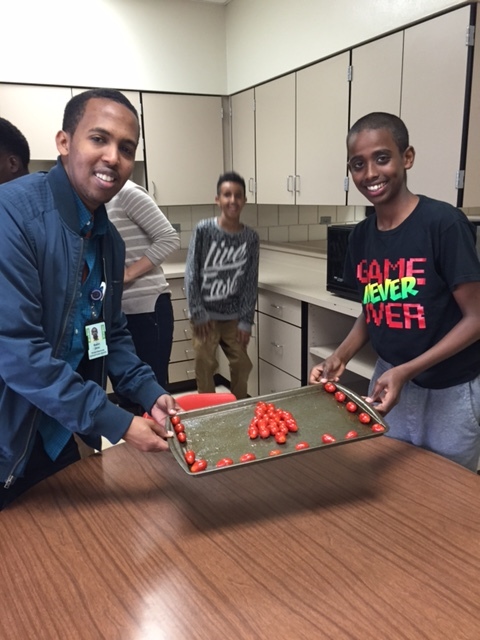 For instance, regarding tomatoes, groups debated whether oto roast them, broil them or dice them and add them raw. Similarly, with the onions, they discussed the merits of caramelizing them instead of sautéeing them. 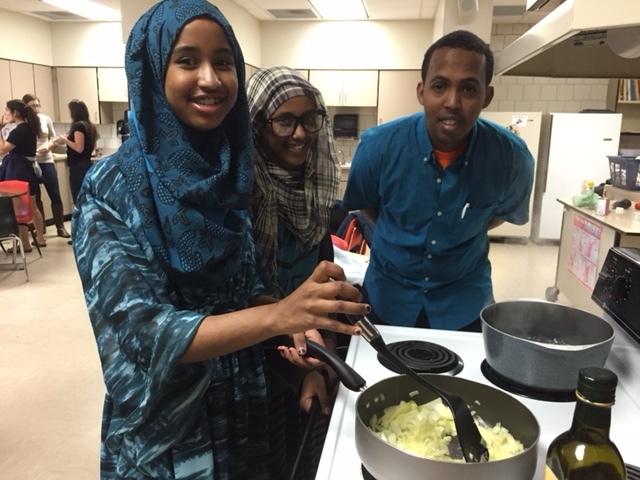 As they worked to create their dishes, they naturally pulled upon and applied their range of cooking skills and culinary knowledge, which was incredibly rewarding for the volunteers to see. Perhaps more impressively, they voluntarily applied the scientific concepts that we had addressed earlier in the term. As we caramelized onions, they suggested adding baking powder to speed up the reaction and when we added salt to the pasta water they hypothesized that the salt would help flavor the pasta. Furthermore, the groups took the idea of culinary creativity to the extreme. After they were done making their pasta, one of the groups decided to blend the avocado, mango, and coconut milk and vanilla together to create a smoothie to compliment their pasta. When the time was up, we had a buffet of three incredible pasta dishes. 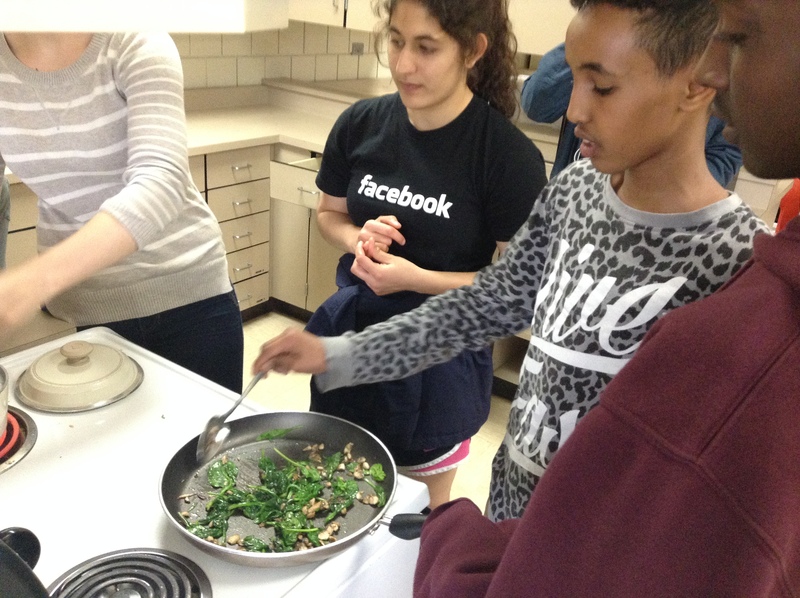 One of the groups made orzo with puréed spinach cream sauce, garnished with roasted tomatoes. Another used short noodles and made a sauce with tomatoes, caramelized onions, red peppers, garlic, goat cheese. and mushrooms. 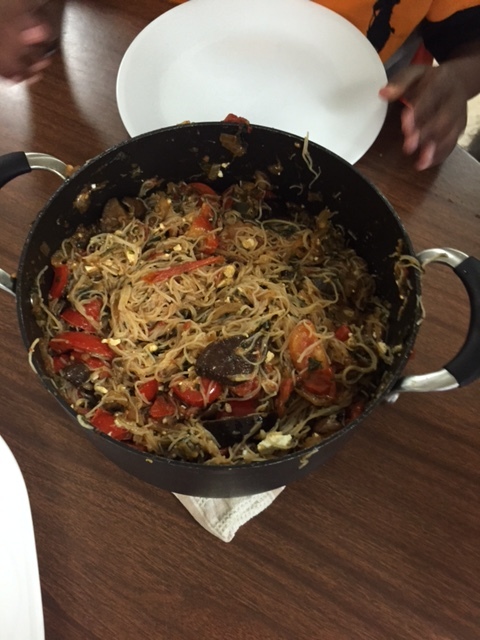 The last group mixed the rice noodles with anchovies, eggplant, roasted chili paste, shiitake and baby bella mushrooms, and red peppers. 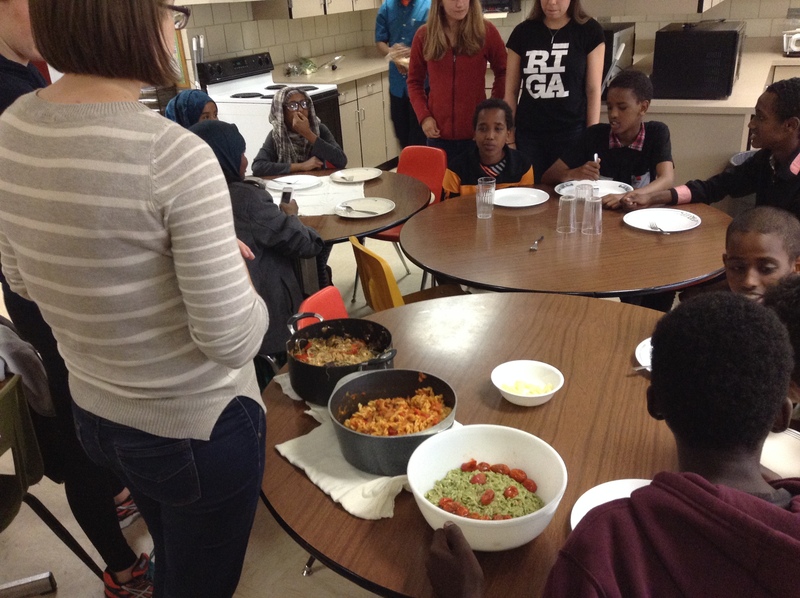 Though many were reluctant to try the unusual ingredients at first, there was ultimately a consensus among the students that the pastas were absolutely delicious. As for us, the volunteers, there was nothing more rewarding than seeing their passion for food, their endless creativity and their budding curiosity in science. 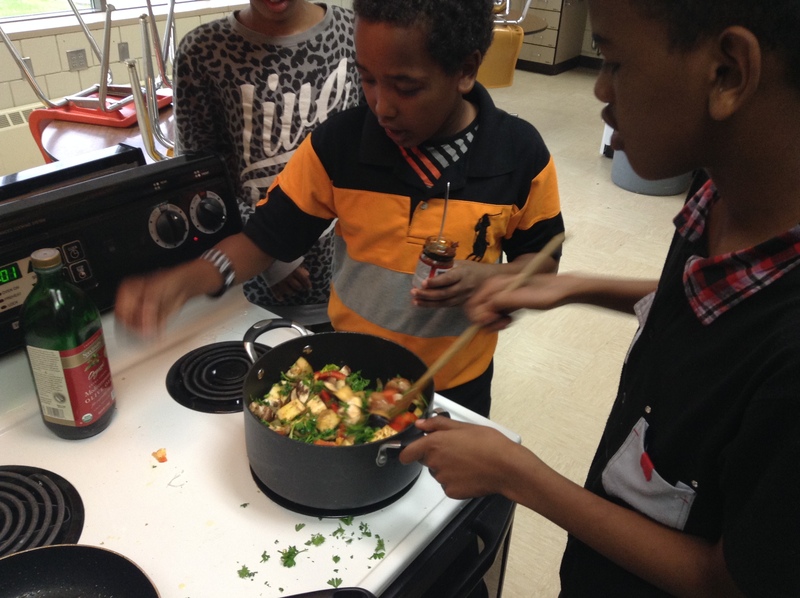 Just Food Co-op starts fundraiser for Young Chefs!